Our organization provides a superior range of Moulded Components to our clients at competitive prices. These are manufactured using Engineering Plastic raw materials, which are sourced from certified vendor in the market. Wheel Arch Cover offered is used for motor vehicles. 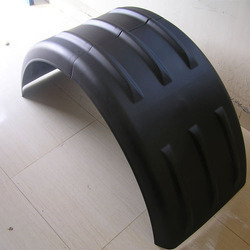 These wheel-arch cover panel are formed using thermoformed, laminar structures that constitute different layers of plastics material including one fabric layer and one non-woven fabric layer applied to face of plastics material facing towards wheel of motor vehicle. Other than these two, a third layer comprising expanded plastics material is also used on surface that faces towards the bodywork. 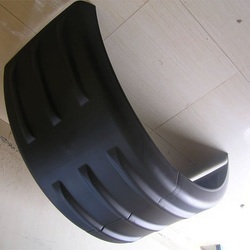 Injection Moulded Mud Guard offered is used for motor vehicles. Injection Moulded Mud Guard panel are formed using thermoformed, laminar structures that constitute different layers of plastics material including one fabric layer and one non-woven fabric layer applied to face of plastics material facing towards wheel of motor vehicle. Other than these two, a third layer comprising expanded plastics material is also used on surface that faces towards the bodywork.